Two weeks ago the British Guardian revealed that the Israeli Air-Force has been conducting secret training exercises in preparation for an imminent attack on Iran. As the war drums beats get stronger, one should ask why Iran preoccupies such a large part of Israel’s inner discourse? If Iran imposes such an existential threat to Israel, why do threats sound louder coming from Jerusalem? I am no expert on nuclear issues, therefore the goal of this essay is not to assess the level of threat Iran poses to Israel, but rather to question the pathology of the Israeli obsession with an Iranian threat. There could be no better time to read Haggai Ram’s Iranophobia: the Logic of an Israeli Obsession (full disclosure: Haggai Ram was my MA Thesis advisor and is a friend). Haggai Ram, a prominent Israeli scholar, offers a new reading of the long history of the relationship between Israel and Iran, and persuasively analyzes the problematic Israeli “reading” of Iran. Prior to the 1979 revolution, Iran and Israel forged a close and very beneficial relationship, stemming from Israel’s strategy of “the Alliance of Periphery.” This alliance was aimed at bringing the three non-Arab countries of the Middle East — Israel, Turkey, and Iran, — and the Christian state of east Africa— Ethiopia—into a strategic collaboration vis-à-vis the Arab states. What brought these countries together was the fear of Nasser’s pan-Arabism, which appeared to be on the borders of each. Israel and Iran, apart from the strategic collaboration, also became trade partners. Iran supplied Israel most of its oil needs and Israeli companies worked throughout Iran in supplying military technology (ironically, even nuclear), agricultural assistance, and construction. The relationship thrived as both countries imagined themselves as non-Middle Eastern by nature. Israel’s self perception envisaged a Judeo-Christian civilization, and in Iran the Shah tried to instill the “Aryan Hypothesis” arguing that Iranians are of ancient indo-European tribes descent. In another important contribution of this work, Ram traces the place Iran had in the Israeli scholarship of the Middle East, especially on the Iranian Jews. Ram eloquently shows that the history of Iranian Jewry was written mainly by Iranian or Israeli Jews, and was deeply embedded in the Zionist paradigm, which denigrated Jewish existence anywhere but in Israel, and especially in a Muslim country. Therefore, the history of integrated communities in the Middle East was reduced to a history of persecution and cultural achievement. 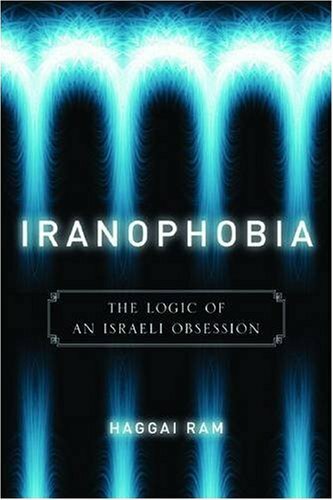 Iranophobia is highly recommended reading for anyone interested in Israeli society. It helps explain Israeli anxieties about the Iranian nuclear threat and incidentally also helps explain Israeli anxieties in response to the Arab spring.